Ferroan dolomite crystals from this locality will occasionally show a multiple step growth habit. This habit has been seen on both straight and curved crystals and is quite common in larger crystals from the 2nd generation. Large plates of crystals showing this habit make for very attractive specimens. Crystals showing this habit appear to be an assemblage of smaller, epitaxially grown, “building block” rhombohedrons. Composite crystals up to 2 cm have been observed. Rarely, a series of these larger rhombohedrons will also be epitaxially grown togetherbut this is not the norm. Smaller crystals from other generations will also display the multiple step growth habit, but are generally not as well developed and show far fewer steps. In general, this habit is more easily identified in sharper crystals such as those pictured to the left and right. Twinned crystals of ferroan dolomite are observed with some frequency at the Monroeville locality. The majority of twinned crystals are curved saddle-shaped crystals, which form small flower-like crystal groups as previously described. Intergrown or penetration twins of simple rhombohedrons are also occasionallyencountered. Penetration twins are two crystals which develop simultaneously and pass through each other along a twinning plane. This type of twinning occurs most commonly in the first three generations of ferroan dolomite growth. The photo to the left displays penetration twins from the 2nd generation. Often, this type of twinning is still evident after 4th generation growth. An example of several twinned crystals coated with tiny, light gray, 4th generation crystals is displayed in the photo to the right. The 4th generation is unique in that it varies in levels of completeness. In general, the first three generations are either present or not. The fifth generation, when present, is typically made up of individuals, groups, or occasional thick crusts of large curved crystals. The 4th generation is made up of varying amounts of tiny multiple growth, with curved faces that coat earlier generations. The photo to the upper right clearly exhibits the nature of the 4th generation. In the far right side of this photo the 4th generation is not present on the black 3rd generation crystals. Through the center of the photo a zone exists where a thin amount of the tan 4th generation has been deposited on the 3rd generation crystals. This 4th generation is much thicker and more yellow towards the upper left part of the photo. When fully developed, this generation will produce small oddly formed stalactites of dolomite crystals. This generation varies in color from cream to light gray, tan, yellow, brown, orange, red and occasionally brownish black. The photo to the upper left displays a 2nd generation crystal that has a very thin coating of the 4th generation crystals. 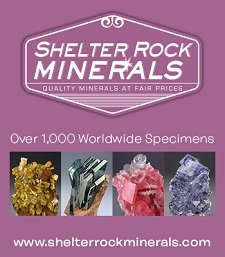 The crystal in the photo to the lower left has a thicker coating of 4th generation crystals. The 4th generation crystals on this specimen have greater curvature, which created a rounder overall rhombohedral form and the development of multiple terminations. The crystal in the photo to the lower right is heavily distorted by the growth of 4th generation crystals. It is probable that a small 2nd or 3rd generation crystal with negative rhombohedral modifications lies at the center of this form. While important to the paragenesis of the locality, this generation of crystals is perhaps the least aesthetic. Uncommon examples of relatively iron free dolomite crystals are occasionally observed in septaria at the Monroeville locality. 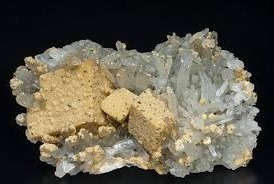 These milky white dolomite crystals developed after the 4th generation of ferroan dolomite and are of similar form to 5th generation ferroan dolomite; large curved rhombohedrons, rounded rhombohedrons or stacked rhombohedrons. There are two theories as to how these crystals developed. The first is that these dolomite crystals developed simultaneously with or in place of the 5th generation of ferroan dolomite. 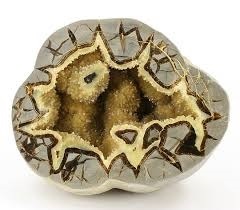 However, the similarity in form suggests the possibility that the entire 5th generation began as dolomite and later altered to ferroan dolomite. In either case, very few actual dolomite crystals exist at the locality. 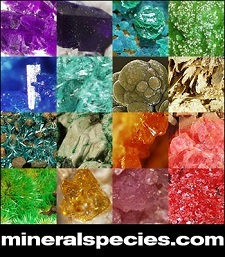 Only those crystals that are purely white in color or are white when broken should be considered dolomite. All others are more likely ferroan dolomite. The photos to the left and right display common examples of dolomite crystals from this locality.